Must see TV. The highly anticipated debate between Hillary Clinton and Donald Trump will be held from 9 to 10:30 tonight, Sept. 26, 2016. Clinton and Trump are preparing for the showdown in ways that appear to be as different as their candidacies, NBC News reports. “One looks to be hunkering down with homework, research and rehearsals, while the other seems to be taking an on-the-fly casual approach to what could be the most important 90 minutes of the presidential election,” according to the report. Lester Holt of NBC will be the moderator. 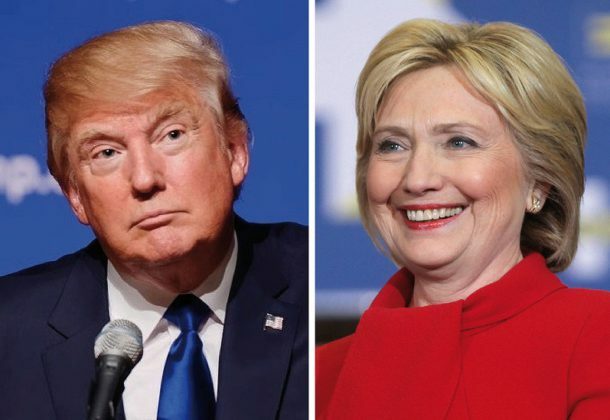 The candidates are in a virtual dead heat in the race, according a recent poll by The Washington Post and ABC News. The ball is in Congress’s court. That’s the message from the White House, Roll Call reports. Republicans negotiating a stopgap spending measure to avoid another government shutdown say the White House has been AWOL from the talks, igniting another round of debate about President Barack Obama’s role in Capitol Hill dealmaking. Government funding is slated to run out at midnight Oct. 1. The Department of the Navy announced the MQ-4C Triton Unmanned Aircraft System received milestone C approval Sept. 22, NAVAIR News reports. This allows the MQ-4C program to enter into Low Rate Initial Production, the first part of the production and deployment phase. “This milestone brings us closer to delivering a new capability to the fleet that will change the way our Navy executes ISR around the globe,” said Sean Burke, Triton program manager. A Pentagon official estimates it will take $85 billion to replace the Minuteman III intercontinental ballistic missile — already 37 percent above the Air Force’s $62B figure. But there is still much uncertainty over the Ground-Based Strategic Deterrent, which has not been replaced for 40 years, Breaking Defense reports. A computer hacker who helped the Islamic State by providing names of more than 1,000 federal government and military workers as potential targets was sentenced Friday to 20 years in prison, The Associated Press reports. Norway is preparing for the Lockheed Martin F-35A Lightning IIs that will soon begin their migration to Norway, Smithsonian Air & Space magazine reports. The prospect of the jets’ arrival has already begun to transform that country’s military. Lockheed Martin wants to build a vehicle capable of flying at speeds of Mach 20, Popular Mechanics reports. With a $147 million contract, the company’s goal is to create a high-speed delivery system that could bomb targets thousands of miles away in an hour or less. It’s similar to what other countries, including Russia and China, are working on. And when it’s not delivering F–35s, Lockheed Martin is hard at work finding ways to turn trash into usable clean energy. At its Owego, NY, facility, where the company builds space-flight gear and military helicopters, the group has partnered with Germany-based Concord Blue to unveil a 250 kilowatt “advanced gasification plant” that will convert 3,650 tons of bio waste into electricity for the facility every year, Engadget reports. International Business Times reports that in the event of a nuclear attack, South Korea’s defense minister said his nation has a plan in place to eliminate North Korea’s top leaders, including Kim Jong Un. South Korea will send a special forces team north if a nuclear attack appears imminent. A Marine Corps AV-8 Harrier fighter jet crashed last week into the ocean off the coast of Okinawa in Japan, but the pilot ejected safely from the aircraft and was rescued, The Associated Press reports. The cause of the crash is still under investigation. The Air Force has identified the pilot who died after ejecting from a U2 spy plane that crashed in northern California last week as Lt. Col. Ira S. Eadie. Eadie was assigned to the 1st Reconnaissance Squadron at Beale Air Force Base near Sacramento, Air Force Times reports. The AF did not release his age or hometown. The Maryland Historical Society will open an exhibit Sept. 2016, commemorating the centennial of the German cargo U-boat Deutschland’s visit to the Baltimore Harbor in 1916. The exhibit explores the technological development of submarines, America’s neutrality in World War I, the reaction of the German community in Baltimore, and the later involvement of the US in the War. Coherent Technical Services Inc., Lexington Park, Maryland, is being awarded an $8,698,446 cost-plus-fixed-fee contract to provide Small Business Innovative Research (SBIR) Phase III work that derives from, extends, or completes an effort performed under SBIR Topic N142-095 titled “Air Vehicle Communication in a Denied Environment.” Work will be performed in Lexington Park, Maryland, and is expected to be completed in November 2017. Fiscal 2016 research, development, test and evaluation (Navy) funds in the amount of $8,698,446 will be obligated at time of award, none of which will expire at the end of the current fiscal year. This contract was not competitively procured pursuant to Federal Acquisition Regulation 6.302-5. 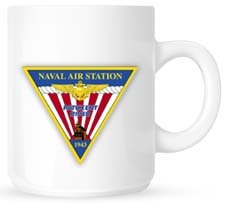 The Naval Air Warfare Center Aircraft Division, Lakehurst, New Jersey, is the contracting activity (N68335-16-C-0420). Science Applications International Corp., McLean, Virginia, is being awarded a $9,675,674 cost-plus-fixed-fee modification to previously awarded contract N00024-14-C-6301 to exercise an option for the Mine Warfare and Environmental Decision Aids Library (MEDAL) program. The MEDAL provides mine warfare situational awareness, mission planning/evaluation, and asset management software to support existing and emerging mine warfare missions, users, and systems. Work will be performed in McLean, Virginia, and is expected to be completed by September 2017. Fiscal 2016 operation and maintenance (Navy); fiscal 2016 research, development, test and evaluation (Navy); and fiscal 2016 other procurement (Navy) in the amount of $1,088,514 will be obligated at time of award. Funds in the amount of $463,142 will expire at the end of the fiscal year. The Naval Sea Systems Command, Washington, District of Columbia, is the contracting activity. Progeny Systems Corp., Manassas, Virginia, is being awarded $9,598,875 for cost-plus-fixed-fee delivery order 0004 against a previously issued basic ordering agreement (N68335-13-G-0001) for work associated with a Phase III Small Business Innovation Research effort under Topic N121-045, titled “Maritime Airborne Service Oriented Architecture Integration.” Work will be performed in Manassas, Virginia, and is expected to be completed in September 2018. Fiscal 2016 research, development, test and evaluation (Navy) funds in the amount of $9,598,875 will be obligated at time of award, none of which will expire at the end of the current fiscal year. The Naval Air Warfare Center Aircraft Division, Lakehurst, New Jersey, is the contracting activity. Northrop Grumman Systems Corp., Linthicum Heights, Maryland, was awarded a $64,739,298 modification (P00005) to contract W56KGY-14-D-0004 for vehicle and dismount exploitation radar ground moving target indicator and dismount exploitation radar system support services. Work locations and funding will be determined with each order, with an estimated completion date of Sept. 24, 2017. Army Contracting Command, Aberdeen Proving Ground, Maryland, is the contracting activity. Socitor Corp., Reston, Virginia, was awarded an $18,000,067 modification (P00015) to contract W911NF-14-C-0123 for High Altitude Light Detection and Ranging (LiDAR) Off-NADIR Experimentation (HALOE). Work will be performed in Italy, with an estimated completion date of March 31, 2017. Fiscal 2016 operations and maintenance (Army) funds in the amount of $18,000,067 were obligated at the time of the award. Army Contracting Command, Research Triangle Park, North Carolina, is the contracting activity. Northrop Grumman Systems Corp., Rolling Meadows, Illinois, is being awarded a $149,663,654 firm-fixed-price, cost-plus-fixed-fee contract to procure the necessary hardware, production test stations, and technical support to integrate the Department of the Navy Large Aircraft Infrared Countermeasures (DoN LAIRCM) on combat aircraft for the Navy, Army, Marine Corps, and U.S. Special Operations Command as well as the government of Australia. Hardware for this procurement includes weapon replaceable assemblies and support equipment: 492 advanced threat warning (ATW) sensors; 14 LAIRCM signal processor replacements; 27 control indicator units; 49 2103 signal processors; 12 infrared missile warning system sensors; 77 Guardian laser transmitter assemblies (GLTAs); 51 GLTA shipping containers; 20 multi-role electro-optical end-to-end test sets; 10 smart connector assemblies; and one ATW acceptance test station to meet necessary fielding requirements. Work will be performed in Rolling Meadows, Illinois (34 percent); Goleta, California (30 percent); Longmont, Colorado (11 percent); Columbia, Maryland (3 percent); various locations within the U.S. (19 percent); and various locations outside the continental U.S. (3 percent), and is expected to be completed in September 2018. Fiscal 2014, 2015 and 2016 aircraft procurement (Navy, Army); fiscal 2015 research, development, test and evaluation (Army); and International Partner funds (Australia) in the amount of $143,165,455 are being obligated at time of award; $16,469,553 of which will expire at the end of the current fiscal year. This contract was not competitively procured pursuant to Federal Acquisition Regulation 6.302-1. The Naval Air Systems Command, Patuxent River, Maryland, is the contracting activity (N00019-16-C-0026). The Boeing Co., St. Louis, Missouri, is being awarded $81,271,024 for firm-fixed-price modification P00009 to a previously awarded firm-fixed-price contract (N00019-16-C-0006) to exercise an option for the procurement of 22 Lot 89 Harpoon missiles and associated containers and components for the government of India under the Foreign Military Sales program. Work will be performed in St. Charles, Missouri (55.87 percent); Burnley, United Kingdom (13.68 percent); McKinney, Texas (10.16 percent); Elkton, Maryland (3.29 percent); St. Louis, Missouri (3.27 percent); Toledo, Ohio (2.62 percent); Grove, Oklahoma (1.47 percent); Ridgecrest, California (1.39 percent); Lititz, Pennsylvania (1.16 percent); Middletown, Connecticut (1.09 percent); and various locations with the US (6 percent), and is expected to be completed in June 2018. Foreign military sales funds in the amount of $81,271,024 are being obligated at time of award, none of which will expire at the end of the current fiscal year. The Naval Air Systems Command, Patuxent River, Maryland, is the contracting activity. Lockheed Martin Mission Systems and Training, Manassas, Virginia, is being awarded a $19,792,359 cost-plus-incentive-fee modification to a previously awarded contract (N00024-16-C-6230) to exercise the first option for engineering and technical services for the integration of combat systems on new construction and in-service submarines. Work will provide systems engineering and integration of the Submarine Warfare Federated Tactical Systems (SWFTS) system-level interfaces, associated architectures, and command, control, communications and information combat system design elements, in addition to the integration and testing across the SWFTS system-of-systems. The contract also includes other direct costs on a cost-only basis to support the effort. Work will be performed in Manassas, Virginia (72 percent); Groton, Connecticut (9 percent); Waterford, Connecticut (8 percent); Middletown, Rhode Island (6 percent); Virginia Beach, Virginia (4 percent); and Cape Canaveral, Florida (1 percent), and is expected to be completed by September 2017. Fiscal 2015 shipbuilding and conversion (Navy); fiscal 2015 and 2016 research, development, testing and evaluation (Navy); and fiscal 2016 other procurement (Navy) funds in the amount of $15,530,169 will be obligated at time of award. Contract funds will not expire at the end of the current fiscal year. The Naval Sea Systems Command, Washington, District of Columbia, is the contracting activity.